I can hardly believe that the wedding is in 6 months. Between our recent move and some other exciting (& stressful) life changes, time has been flying by. 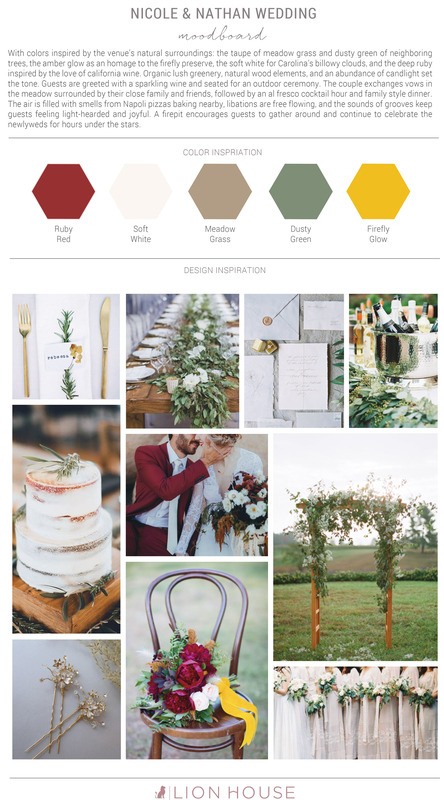 I’m excited to share a little piece of our wedding planning that I’ve been holding on to for a while now: Our mood board. But first, a little background on how we got to our finalized theme. It was the perfect first step to start the conversation about styling and mood. It also helped us discover the things that were really important to each other when planning our wedding. Then we took to Pinterest! Boy, was that like falling down the never-ending wedding rabbit hole. We quickly realized that there were many ways we could approach our wedding stylistically to help portray the mood we were looking for. By this point, I had already sought out a wedding coordinator, Lauren Watson from The Lion House, but hadn’t put much consideration into any additional help that she could provide with design. Initially, I felt that Nathan and I had a good grip on the style that we wanted and that adding someone else into the mix would be a waste of resources ($$$). Yet, we felt disjointed and overwhelmed with not having a cohesive vision for our wedding. That’s where Lauren was able to step in and offer her design services to us. Let me first say that, I consider myself to be a person who has a good handle on my person style and can express that relatively easily to others. However, when it came to planning our wedding, these skills, albeit good, just weren’t quite enough to really make our vision come to life. Additionally, by incorporating Lauren’s design services we were able to relax a little bit more knowing that with her help, our wedding would have exactly the vibe we were hoping for. Lauren was able to take our moderately disjointed ideas, emotions, colors, and styles, and mold them into a single cohesive theme that I can’t be more excited to share with all of you. Save you time. I don’t know about you, but I’m a firm believer in time is money. My time has a monetary worth and one less thing off my plate is a big deal. Especially something as fundamental as wedding design. I realized that Nathan and I didn’t really start booking major vendors or anything else until we had a finalized design plan. Once we were able to see a color scheme and get a tangible sense of what our theme was, we were equipped to start making some vendor decisions to help that theme come to life. Help save you money. Lauren is a stickler for budget. During our first meeting she wanted to make sure I was able to firm up my budget and see how we can fit our dream design into that budget. Additionally, once there’s a budget in place, a designer is going to have the knowledge to point you in the direction of where to find vendors, decor, attire, that is going to not only fit your theme, but your budget as well. Be your second set of eyes, ears, everything. Lauren, Jessica (our photographer) from Three Region Photography, and I recently did a full walkthrough of our wedding venue. Walking through the venue with both Lauren and Jessica tamed any sort of nerves I had about wedding style and logistics. 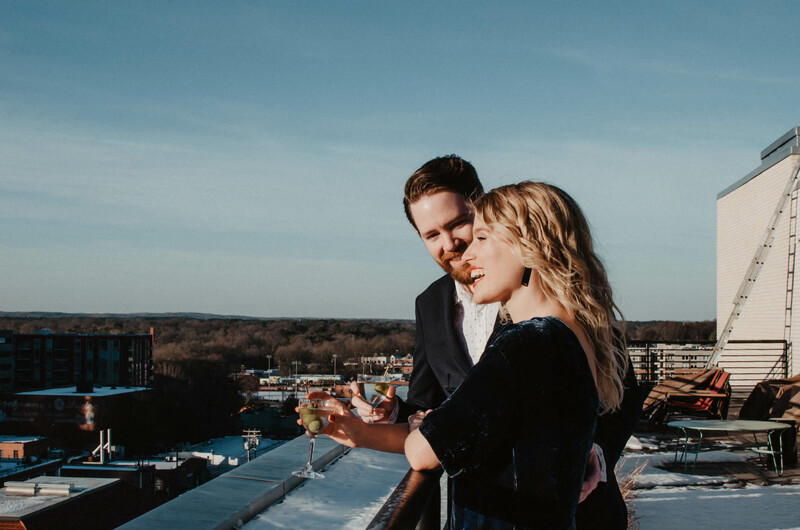 Lauren was able to provide such detailed feedback about things we’ll need to consider, from who is responsible for clean-up in certain areas of the venue, to how guests will walk out to the ceremony location. If you are interested in hiring a wedding planner, coordinator, designer, or all the above, but have no idea where to start looking, WeddingWire has the perfect search engine waiting for you (see Lauren’s WeddingWire site here). WeddingWire has an entire section for Wedding Planning, and you can simply enter in your zip code and it will locate all the planners in your area. Another convenience of this search is that you can also limit the search by service (i.e., Day of coordination, Full planning, Vendor referrals) and budget. Ps. If you are in the market for a top-notch event planner be sure to check out Lauren from The Lion House. She’s creative, enthusiastic, and a strong advocate for her clients – all the things you want in a planner. 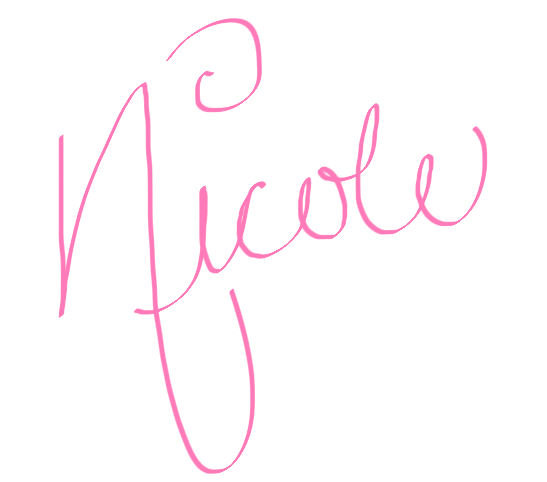 Did you use any wedding design services? If you did, was it useful? Comment below!